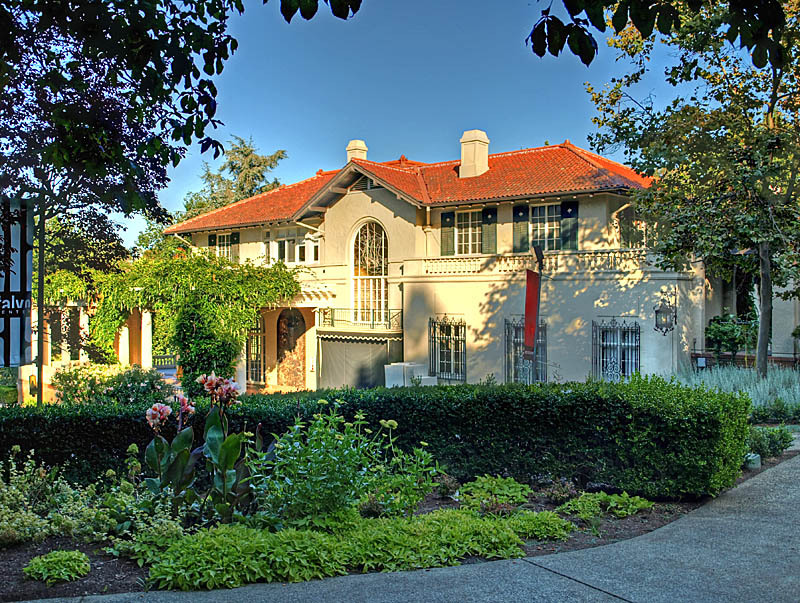 Villa Montalvo, also known as the Montalvo Arts Center, is a former estate in the hills of Saratoga. It covers 175 acres and consists of a Mediterranean villa, formal gardens, and hiking trails in the hills. It once belonged to James Phelan, who was a mayor of San Francisco and a US Senator for California. He built the Villa in 1912. He named it after the 16th century Spanish writer Garcia Ordonez de Montalvo. The name California came from one of Montalvo's stories. 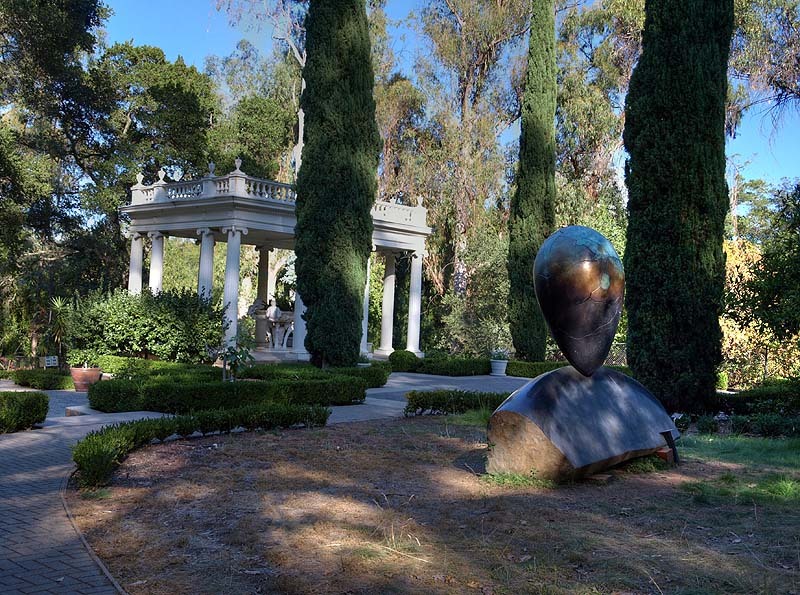 When James Phelan died in 1930, he left his estate to the people of California as a public park and center for the arts. 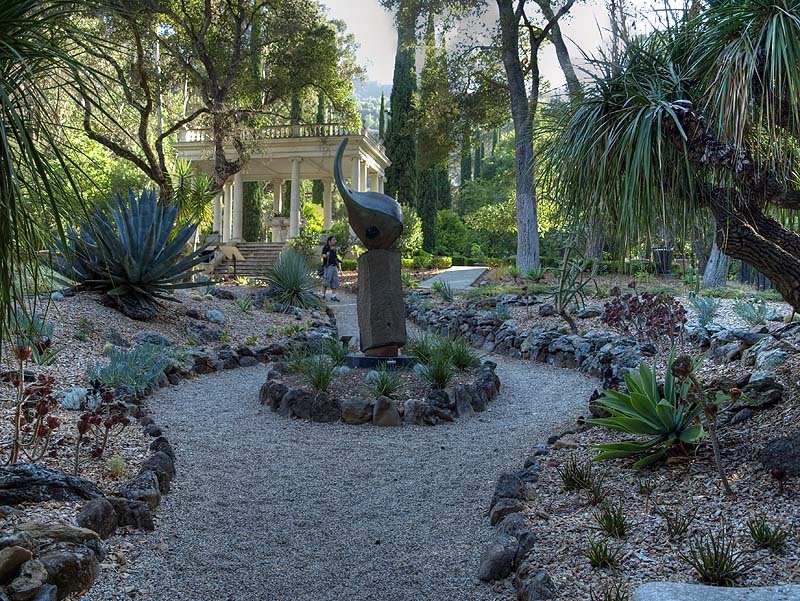 The Villa and gardens are now managed by the non-profit Montalvo Arts Center. The County Parks maintains the trails in the hills. This page has pictures of the Villa and gardens. On April 21, 2012, the Montalvo Arts Center celebrated its 3rd annual Arts Splash, which was an open house, open studios, and a student arts festival. It also celebrated the 100th anniversary of the Villa. These pictures are from that event. This is the solarium of the Villa, which is an Italian Mediterranean style mansion. This stained glass is above the staircase by the entrance. The Spanish Courtyard behind the Villa. Wysteria on the trellis in the Spanish Courtyard. This path is the Poet's Walk, which leads up the hill to the Redwood Trail. To the left is the amphitheater, which features outdoor concerts and events. This is farther up the Poet's Walk, lined with statues of poets. This sculpture above the West Lawn is called "Fabric Study in Pots" by Seyed Alavi, 2011, made of repurposed plastic plant pots, nuts and bolts, vinyl tubing, and wire. This is the start of the Nature Trail next to the Amphitheater. This is the front of the Villa by the Front Lawn. This is the Italianate Garden. These daffodils line the brick walkway next to the Front Lawn. This is a view of the Villa and Front Lawn, near the entrance of the Italianate Garden. This classical statue is in the Italianate Garden. The egg sculpture in the Italiante Garden is called "Head of Man" by David Middlebrook (2010), with the Love Temple in the background. This is the Phelan Cactus Garden. The bronze sculpture in the middle is called "Broken Wing" by David Middlebrook (2004). Satyr sculptures in the Love Temple. View down the main walkway of the Italianate Garden, looking towards the Villa. The Front Lawn and the Villa. 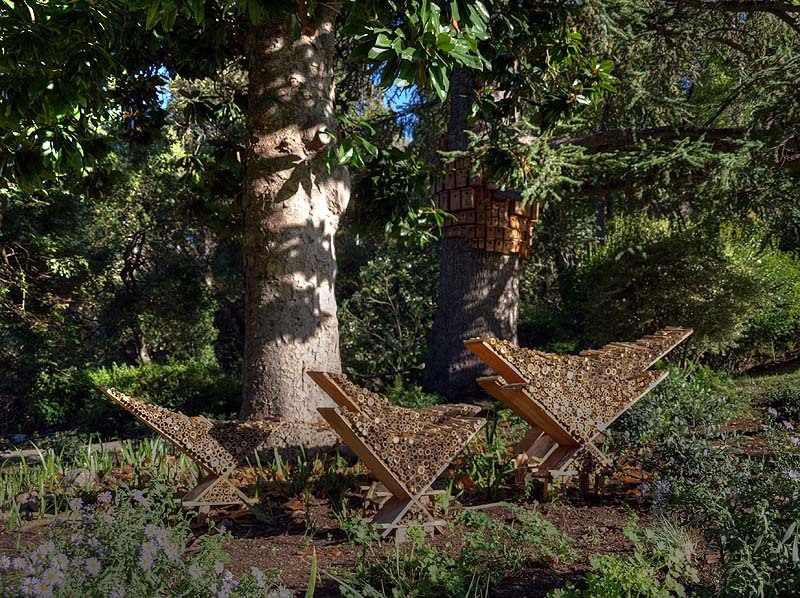 The three sculptures on the ground are called "Ground Control" by Cameron Hockenson (2011), made of bamboo and wood. The stacked bird houses wrapped around the tree is another 2011 sculpture by Cameron Hockenson called "Control Tower." This garden is called the Bird Garden.